Assuming you are not stuck in the Stone Age with your phone technology, you now need wireless bluetooth headphones to listen to music. And, since you are reading the Daily Dealer, I am guessing you are not particularly interested in shelling out close to $200 for Apple’s AirBuds. Here is a WAY cheaper alternative. These lightweight, minimalist earbuds with Bluetooth V4.2 technology normally cost $40 — already a significant bargain. But here is the amazing part. Our readers can get them for just $20 with the code BU49QSZX. These earbuds feature a DSP-equipped audio processor for powerful signals, fast transfers and HD-sensitive stereo bass sound. And, like the AirBuds, they come with a battery charging case that can provide 3-4 full charges on the go. 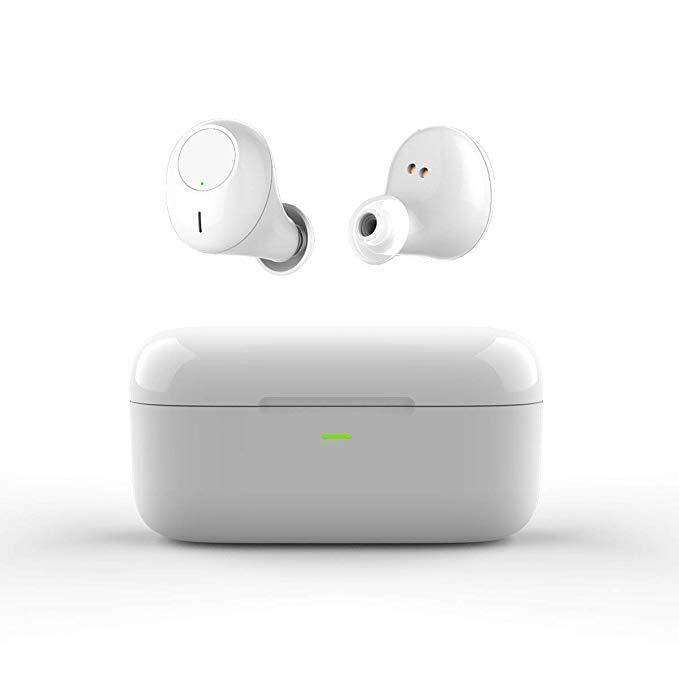 These earbuds come with the pair of headphones, the portable charging case, two ear tips, a Micro-USB C cable, plus a 12-month replacement warranty. The code expires November 11.